You will love the new and improved Sansuk Sauna and Guesthouse. In addition to the original 20 room Guesthouse there is a new eight storey, 50 room accommodation building. The rooms are of various sizes and prices suitable for all tastes and budgets. All are handicap accessible. Improvements have been made to the Sauna complex. There is a new hot and cold Jacuzzi, a new Sauna and Steam Rooms making a total of two Steam Rooms and two Saunas. You can relax around the beautiful outdoor pool with a cold drink in your hand. It is an ideal place to read a book and admire the scenery. 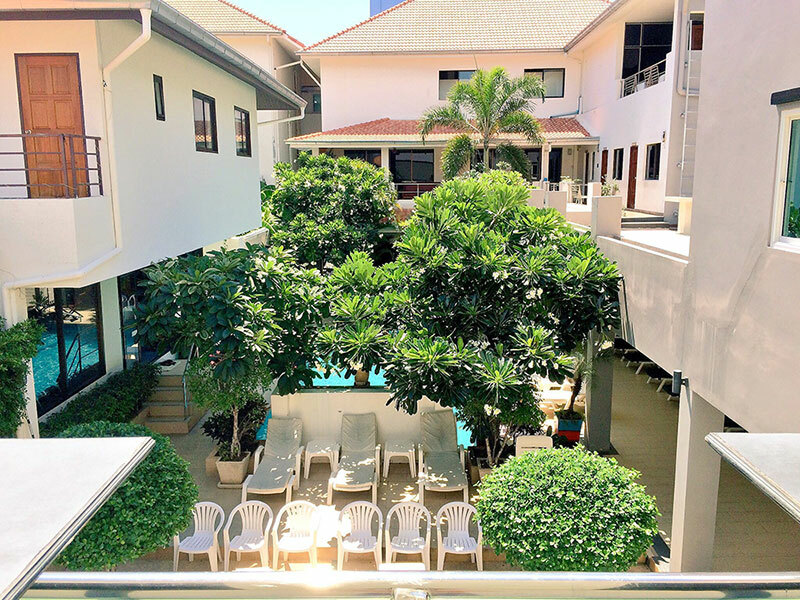 Guesthouse residents can enjoy all the facilities during their stay. The Sauna complex opens at 2pm. For those not staying at the resort the admission is 230 baht. Usually there are 150 to 200 International and Thai visitors a day of all ages with a predominance of younger farangs. The restaurant which is reasonably priced supports a delicious and extensive menu of soups, sandwiches, International and Thai dishes. Punya, the owner and his staff will pamper you outrageously to ensure that your stay is an enjoyable one.